Dr. Tara Reynolds, Psy.D. is a licensed clinical psychologist with over 10 years of experience working with individuals, couples, adults, and children of different cultural backgrounds. She believes everyone experiences difficulties at times and sees the decision to begin psychotherapy as a powerful first step that often leads to personal growth and positive life changes. She provides a safe place to talk about anything from life transitions, relationship turmoil, emotional upheaval, and crisis to simple, everyday concerns. Dr. Reynolds likes to work collaboratively, exploring both the past and the present, to figure out what is preventing you from feeling more fulfilled. Working together with her, clients develops strategies to remove these obstacles. Dr. Reynolds received a B.A. in Psychology from Huntingdon College in Alabama. She graduated with both her masters and doctorate in Clinical Psychology from the American Psychological Association (APA) accredited Argosy University School of Professional Psychology in Virginia. In addition, she completed an internship at Park Place Behavioral Healthcare in Kissimmee, Florida and completed her postdoctoral residency at the Northern Virginia Mental Health Institute in Falls Church, Virginia. Dr. Reynolds has worked in a variety of settings including private practice, public school, outpatient mental health, and acute psychiatric hospital. She has extensive experience working with individuals dealing with depression, anxiety, addiction, couples and family relational issues, gender identity issues, and behavioral problems in adolescents. Dr. Jade Rubino, Psy.D. is a licensed clinical psychologist with over 10 years of experience working with adolescents through older adults with depression and anxiety in a variety of settings including private practice, inpatient and outpatient mental health, specialty clinics, and research settings. Dr. Rubino works in collaboration with each client to identify and understand the problems they are facing in their lives, and tailors her therapeutic approach to meet the client’s specific needs and treatment goals. She provides a supportive and safe environment where clients can feel open to express and explore feelings and thoughts. Additionally, she believes a present-focused and active approach to therapy is most effective and encourages clients to engage in research-based strategies outside of therapy sessions in order to progress towards their goals. Dr. Rubino received a Bachelors of Arts degree in Psychology and Biology from Rutgers, the State University of New Jersey. She graduated with both her masters and doctorate in Clinical Psychology from the American Psychological Association (APA) accredited Graduate School of Applied and Professional Psychology (GSAPP) at Rutgers University. She completed her clinical internship at The Reading Hospital & Medical Center in Pennsylvania. She is trained in several evidence-based treatments including cognitive behavior therapy, interpersonal psychotherapy, exposure and response prevention, mindfulness-based cognitive therapy, and dialectical behavior therapy. She has also completed the Postpartum Support International certificate training in perinatal mood and anxiety disorders. Dr. Rubino has extensive experience and clinical interests in helping adolescents and adults address depression, anxiety, obsessive-compulsive disorder, perinatal mood and anxiety disorders, relationships issues, and life transitions including pregnancy. Dr. Sylvia Hanna, Psy.D. is a licensed clinical psychologist with over 10 years of experience working with adolescents and adults from diverse cultural backgrounds. Dr. Hanna believes that everyone experiences challenging times in life and that making the decision to engage in therapy can be one of empowerment that leads to growth and healing. She provides a warm, open, and supportive space for her clients to explore their thoughts and emotions. Dr. Hanna views the therapy process as a journey and works closely with her clients to set goals and support individuals in finding the solutions that are best for them. Dr. Hanna believes that treatment should focus on the whole person, so she values exploring an individual’s emotional, mental, and physical well-being, while also being attuned to one’s cultural, spiritual, and social experiences and needs. Dr. Hanna approaches therapy from the lens of helping clients gain insight into their current experiences, by exploring past experiences, while also supporting them in making concrete, meaningful changes that lead to personal growth. Dr. Hanna earned her Bachelors of Science degree from Virginia Tech. She graduated with both her masters and doctorate in Clinical Psychology from Loyola University Maryland. 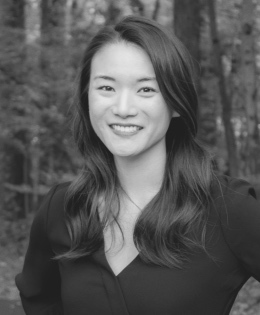 Dr. Hanna completed her doctoral internship at James Madison University’s Counseling Center in Harrisonburg, VA. She has worked in various clinical settings including university counseling centers, private practice, and community mental health. 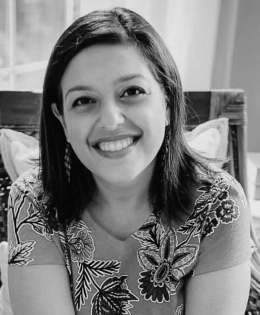 Dr. Hanna has extensive experience and clinical interest working with individuals dealing with anxiety, depression, grief and loss, trauma, relational and family issues, life transitions, identity exploration, and body image concerns. Dr. Sanskruti Upasani, M.D. is a licensed adult psychiatrist with over 20 years of psychiatry and behavioral health experience in the United States and India. 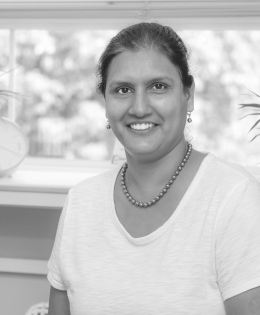 Dr. Upasani earned her medical degree and post-graduate diploma in psychiatric medicine from B.J. Medical College in Pune, India. She later completed her residency training in Adult Psychiatry and was Chief Resident for Psychiatry at the Albany Medical Center in New York. She served as an Adult Psychiatrist at the Outpatient Clinic of the Fairfax Behavioral Clinic of Fort Belvoir Community Hospital for over four years. In addition to medication management, Dr. Upasani utilizes supportive therapy and cognitive-behavioral principles in practice and has significant experience in the treatment of depression, anxiety, PTSD, OCD, ADHD, and bipolar disorder. Pam Frank, MEd, DCMHS, LPC is a licensed professional counselor with over 20 years of experience working with children, adolescents, adults, individuals, couples, and families. She graduated from the CACREP accredited Counseling program at Old Dominion University. In 2013, Pam was awarded Diplomate Status through the American Mental Health Counselor Association for her training and work in Trauma and Child Therapy. Pam has extensive training in experiential modalities (i.e., sand play, play therapy, and expressive therapies), mindfulness, and Eye Movement Desensitization and Reprocessing (EMDR) therapy. Her areas of clinical expertise include anxiety, stress, depression, grief and loss, trauma and abuse, life transitions including divorce, along with spiritual concerns. Moreover, Pam has a passion for working with people suffering from chronic medical conditions and those facing end-of-life challenges. This work includes working with caregivers and family members who are also greatly affected by a family member’s diagnosis. 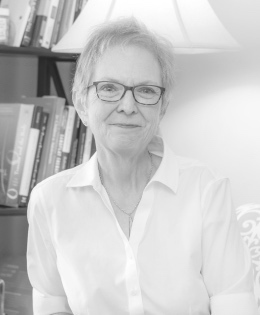 As an integrative therapist, Pam utilizes multiple theoretical perspectives and provides an empathic, non-judgmental, respectful, and strength-based approach to therapy. She believes her role as a therapist is to empower clients to discover and develop the tools they need for healthy, positive, and lasting change. 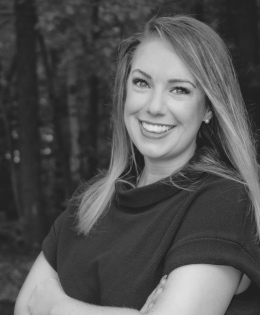 Erica Cornelius, MA, LPC, RPT is a licensed professional counselor with over 10 years of experience working with children and adolescents in diverse settings including residential treatment homes, hospitals, outpatient private practices, and public schools. Erica graduated with her Masters in counseling from a CACREP accredited program at The College of New Jersey. She is a registered play therapist with the Association for Play Therapy. Additionally, she was a nationally certified counselor with the National Board of Certified Counselors and certified school counselor with the state of Virginia. Erica has trained in multiple modalities of therapy including experiential (ie. child-centered play therapy and directive play therapies) and cognitive behavioral therapy. She has clinical experience helping individuals address anxiety, depression, attachment issues, identity development, and behavior concerns. Erica believes that psychotherapy can be a sense of relief for children and adolescents who are going through hardships they may not quite be able to make sense of or even verbalize. Individuals can release stress and process difficult emotions in a safe environment whether through therapeutic talk or experiential activities. Individuals learn effective strategies for coping outside the therapy room. Working with families no matter who is exhibiting symptoms is key to successful psychotherapy progress and continued growth. 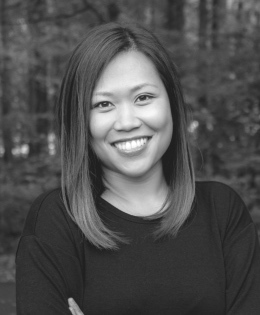 Jessica Joo, MA, LPC, LMHC is a licensed professional counselor with years of experience working with adolescents and adults. She believes that therapy can be an empowering experience for clients to learn how to shape healthier attitudes, choices, beliefs, and habits for themselves. 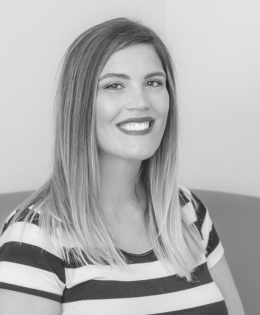 Understanding that therapy can be intimidating for some, Jessica creates a warm, empathetic environment in order for clients to feel comfortable, safe, and heard. She works collaboratively with clients in order to reach agreed upon therapeutic goals through evidence-based techniques and uniquely tailored processes. Jessica received a B.S. in Hotel Management from Cornell University and worked in a corporate setting for years before transitioning to the behavioral health field. She then received her Masters in Counseling in Mental Health and Marriage & Family from Gordon-Conwell Theological Seminary. Jessica completed her internship and supervised residency at an outpatient clinic and worked with a diverse population addressing a wide range of mental health and substance use issues. Jessica has been trained in Cognitive-Behavioral Therapy, Dialectical-Behavioral Therapy, and Motivational Interviewing. She has extensive expertise in addressing depression, anxiety, PTSD, obsessive-compulsive disorder, addictions, family and relational issues, work and school stressors, and difficult life transitions.